Academy alumnus Dr. Todd Pitts recently earned his doctoral degree from the institution and with it, earned a promotion to become an associate professor in the collegiate ranks. Pitts has taught in various roles at Davenport University in Grand Rapids, Mich., for more than 20 years. Upon earning his Doctor of Education degree in sports management from the Academy in 2017, Pitts was promoted to become an associate professor of sport management at Davenport. California State University East Bay (CSUEB) assistant athletic director for development Darrell Bailey said the United States Sports Academy was a blessing for his career and a spring board into collegiate athletics administration. Bailey, who is charged with increasing revenue to the Pioneers athletics department through donor support and corporate sponsorships, earned his Master of Sports Science degree in sports management from the Academy in 2004. Academy alumnus Dr. Andy Dotterweich wears many hats in his role as an associate professor at East Tennessee State University (ETSU) and operations manager at an official Olympic Training Site in Johnson City, Tenn. Dotterweich earned dual Master of Sports Science degrees in coaching and sports medicine from the Academy in 1998. He is an associate professor in the Sport, Exercise, Recreation and Kinesiology Department at ETSU. He also serves as the operations manager for the Long-Term Athlete Development (LTAD) program at the institution’s Center for Excellence for Sport Science and Coach Education, the Olympic Training Site on the ETSU campus. Nationally acclaimed sports administrator and high performance director Scott Novack was named the Academy’s 2018 Alumnus of the Year. Novack, a Colorado native, earned his Master of Sports Science degree in sports management from the Academy in 1997 and participated in a mentorship at Brunel University in London, where he met other students and administrators who helped to spark his interest international sports like rugby. He was recently hired as the program operations manager for the USA Rugby Men’s Eagles Sevens team. This is where the Academy’s wide network of graduates come to tell others about the great things they are doing in the world of sport. The Class Notes section is the perfect place to share personal and professional news with friends and classmates. Please send us information about special milestones in your life, career achievements, honors and recognitions, etc. We look forward to hearing from you! United States Sports Academy alumnus Scott Garvis, who has worked as the athletics and activities director at Newton (Iowa) Senior High School for five years, was recently hired for a similar position at Ankeny (Iowa) Centennial High School. Garvis earned his Master of Sports Science degree in sports management from the Academy in 2005. A native of Worthington, Minn., Garvis has more than 20 years of experience as a coach and athletics administrator in Iowa, Minnesota and Washington. Garvis earned his Academy degree while working as athletic director and assistant principal at Muscatine (Iowa) High School. Academy alumnus and University of North Carolina Pembroke (UNCP) men’s basketball associate head coach Drew Richards was recently recognized as one of the top assistant coaches in the country. Richards was honored as one of the best assistant coaches in NCAA Division II by CoachStat.net, a website that uses analytical data to compile a comprehensive ranking of men’s basketball coaches in a variety of categories. CoachStat.net said the list, which featured 25 top Division II assistant coaches, was “balanced by a wide scope of basketball, administrative, community and other responsibilities. These coaches excel in the stat sheets, developing their players, meeting their lower level limitations and succeeding despite them.” Richards earned his Master of Sports Science degree in sports management from the Academy in 2013. After spending nearly two decades as an assistant football coach at one of NCAA Division II’s most successful programs, United States Sports Academy alumnus Ernie McCook has been promoted to head football coach at the same program. McCook spent 18 years as an assistant coach for the Rams of Shepherd University in Shepherdstown, W.Va., working his way up from position coach to offensive coordinator to assistant head coach for legendary coach Monte Cater, who recently retired after 31 years. A successful offensive coach, McCook was promoted to head coach in January 2018. McCook earned his Master of Sports Science degree in sports management from the Academy in 1999. He pursued his degree while continuing to work in the coaching field, first at Wesley College in Dover, Del., then at Shepherd. Academy alumna Karen M. Carty is using her master’s degree to lead the sports marketing program at Louisiana’s Grambling State University (GSU). A native of St. Croix in the U.S. Virgin Islands, Carty is completing her first year as the assistant athletics director for marketing and communications at GSU. Prior to Grambling, Carty worked in the athletics department at South Carolina State University (SCSU) as the director of marketing and in media relations for the school’s volleyball, women’s soccer, women’s basketball and softball teams. Carty earned her Master of Sports Science degree in sports management from the Academy in 2009. Aimee Fador was a highly regarded high school basketball player who could have gone to college on an athletic scholarship, but, like many people, special family circumstances kept her from leaving home to attend college immediately after high school graduation. A former high-level basketball player at Waterford (Conn.) High School, Fador was recruited by several Division I and II basketball programs. However, circumstances led to her choosing to stay home to be close to family. She never lost sight of her goal to become a basketball coach, and in 2009 she was able to take advantage of the United States Sports Academy’s online program to earn her Bachelor of Sports Science degree in sports management. Fador is now works at the Williams School – a small, liberal arts private school on the campus of Connecticut College in New London, Conn. Fador is the assistant athletic director, physical education and health teacher, and varsity girls’ basketball coach at the school. Dr. China Jude said her education from the United States Sports Academy gave her the knowledge and confidence to excel in the world of collegiate sports, which led to her recent hiring to a senior athletics administration position at the University of Wyoming. Jude recently made a long-sought jump to NCAA Division I upon being hired as the senior associate athletics director for administration and Senior Woman Administrator (SWA) at the University of Wyoming. She began her new position on 1 February 2018. She was named the Academy’s 2011 Alumna of the Year for her work as the assistant vice president of athletics and athletics director at Queens College in New York City, where she oversaw the athletics department’s 19 NCAA Division II varsity sports for more than six years. Academy alumnus Darryl Nance has been presented the Frank Kovaleski Professional Development Award, a national honor given annually to an administrator who has made significant contributions and demonstrated excellence in professional development at the local, state and national levels. After nearly 30 years as a high school coach and teacher, Nance has served as the director of athletics for Greenville County (S.C.) Schools since 2015. The Frank Kovaleski Award is presented by the National Interscholastic Athletic Administrators Association (NIAAA), of which Nance is a member. Jody Hodgson, the manager of one of the largest sports arenas in North Dakota, says his United States Sports Academy master’s degree and participation in the institution’s mentorship program helped launch his career in the sports facilities management field. A resident of Grand Forks, N.D., Hodgson is the general manager at the Ralph Engelstad Arena, which is known for hosting University of North Dakota (UND) hockey and men’s and women’s basketball games. For his master’s degree mentorship program, Hodgson worked for head coach and general manager Jean Person of the San Francisco Spiders of the International Hockey League, an experience he said gave him the knowledge and contacts he needed to secure employment in sports management. Academy alumnus Chad Lunsford, who served on the staff that led Auburn University to the 2010 BCS National Championship in football, has been promoted to head football coach at Georgia Southern University (GSU) in Statesboro, Ga. Lunsford was named the Eagles’ head coach after serving in an interim role since October, when he was promoted from assistant head coach. Academy alumnus Joe Toomey used his Academy master’s degree to build on his skills as a coach and expand his career to school administration, a move that recently earned him the position of principal at one of Alabama’s most historic high schools. Toomey is principal of Murphy High School in Mobile, Ala., known for its longtime academic excellence and historic role as the state’s oldest high school. Successful athletic trainer, television production teacher and United States Sports Academy alumnus Dr. Joseph Underwood has added to his long list of accomplishments by being named to a prestigious fellowship from the National Education Association (NEA). Underwood was recently named an NEA Foundation Global Fellow, where he will serve in a year-long professional development program designed to enhance global education and competency in grades K-12 in the United States. The program culminates with an international field study in South Africa in the summer of 2018. He has worked at Miami (Fla.) Senior High School since 1985. He worked as the school’s head athletic trainer between 1987 and 2000, while also serving as the television production teacher, a position he still holds. Nationally acclaimed track and field leader, coach and professor Dr. Dave Shrock was named the United States Sports Academy’s 2017 Alumnus of the Year. Shrock has served in numerous leadership roles for USA Track & Field (USATF) and has coached track and field at various levels for more than four decades. He earned his Doctor of Education degree in sports management from the Academy in 2009. Academy alumna and honoree Dr. Bonnie Tiell earned the Provost Award, the highest annual honor given to a faculty member at Tiffin University in Tiffin, Ohio. Tiell, who earned her Doctor of Education degree in sports management from the Academy in 2004, is a professor of sport management at Tiffin University. She has been widely recognized for her contributions to intercollegiate athletic administration and global sports governance. She is the founder and co-director of the Olympic Academic Experience (OAE), a program through Tiffin University that offers students from around the world the opportunity for on-site study of the organization, supervision, and management of international sport venues and elite competition in an Olympic host city. She is also co-founder of a humanitarian program for underprivileged youth in Olympic host cities with fellow United States Sports Academy alumnus Dr. Francis Dove-Edwin, who serves as co-director. Dr. Sandra K. Geringer says the United States Sports Academy has opened doors for her in many ways, including the opportunity to teach abroad, earn her doctorate, and teach Academy students as the newly appointed Director of Sports Studies. Geringer completed her Doctor of Education degree in sports management with an emphasis in sport marketing, with honors. She began her doctoral studies with the Academy in 2015 and worked her way up to become the Acting Director of Sports Studies in 2016. At the time, she was taking Academy doctoral courses while also teaching students. The “acting” portion of her title was removed after she completed her doctorate, launching her career as Director of Sports Studies. Academy alumnus and longtime collegiate soccer coach Dwight Hornibrook was named head coach of the women’s soccer team at Cornell University in Ithaca, N.Y. A native of Fredericton in New Brunswick, Canada, Hornibrook had previously served as an assistant coach at Cornell for five seasons and as the team’s interim head coach before the promotion. He earned his Master of Sports Science degree in sports studies from the Academy in 2008 with honors while he was working as men’s soccer coach at the State University of New York (SUNY) Cortland. Former college football player, current high school football coach and United States Sports Academy alumnus Dr. Michael Armstrong was honored as the Strength Coach of the Year in South Carolina. Armstrong is the assistant athletic director, head strength coach and offensive line coach at Lugoff-Elgin High School (LEHS) in Lugoff, S.C. He earned his Doctor of Education degree in sports management from the Academy in 2012. He recently was named the South Carolina Strength Coach of the Year by the state’s Athletic Coaches Association and High School Strength Coaches Association. He became eligible for the award after winning the same honor in the state’s 4A division. Dr. Ben Billman, a graduate of the United States Sports Academy doctoral program, joined the sport management faculty at Carson-Newman College in Jefferson City, Tenn. Billman served as a doctoral teaching assistant for three years on the Academy’s campus in Daphne, Ala., and earned his Doctor of Education degree in sports management with an emphasis in sports leadership. He was hired by Carson-Newman as an assistant professor. With a successful career as a business owner in health and fitness already established, Dr. Donna Clemons used her doctoral degree from the United States Sports Academy to launch an additional career as a college faculty member. A native of Mattoon, Ill., Clemons said her Academy degree helped her to earn a position as chair of the Department of Kinesiology and Exercise Science at Faulkner University in Montgomery, Ala.
Academy alumnus and Washington State University head football coach Mike Leach visited the sports university’s campus in Daphne, Ala., where he first learned the skills that he says “ushered me into coaching.” Leach, a native of Cody, Wyo., is the Academy Alumni President and a past winner of the Academy’s Alumnus of the Year Award. After experiencing firsthand the difficulties of a personal battle with cancer, United States Sports Academy alumnus Robb Bolton is using his Academy education to benefit the lives of cancer survivors in Southern California. A resident of Newbury Park, Calif., Bolton earned his Master of Sports Science degree in sports management from the Academy in 2007. He is the founder and CEO of Cancer Fit, a non-profit organization that provides free exercise and wellness programs, education and resources for adult and childhood cancer survivors in Southern California. Along with his work at Cancer Fit, Bolton is the associate director of campus recreation at Pepperdine University in Malibu, Calif. At Pepperdine, Bolton works with students, faculty and staff to achieve their fitness and health goals. He will also work to assist Pepperdine as it builds a new and improved recreation facility. Academy alumnus Dr. Joseph Spears, who used his Academy doctoral degree to earn a position as a college faculty member, is now seeking to provide elected service in the Washington, D.C., metropolitan area. Spears, who lives in Maryland, is an assistant professor of sports management at Bowie State University in Bowie, Md., where he also serves as NCAA faculty athletic representative. At Bowie State, Spears teaches courses in sports management and conducts research on sport and its relationship to the economy, religious institutions and stakeholders in the community. Spears recently announced his intention to run for public office, seeking the District 27A seat in the Maryland House of Delegates in the 2018 election. Academy alumna Jaymie Cox said her master’s degrees and mentorship experience from the Academy helped her to solidify a strong sports education, took her overseas and helped her to secure her job as the head coach of a collegiate volleyball program. Cox, who earned dual Master of Sports Science degrees in sports coaching and sports management from the Academy, is the women’s volleyball coach and assistant athletic director at Olympic College in Bremerton, Wash.
Alumna Dr. Karla Faye Jones said the United States Sports Academy’s knowledgeable, experienced faculty and flexible scheduling options were important factors in her decision to obtain a doctoral degree from the Academy. Jones serves as the chair of the Health and Physical Education Department and the chair of the Worksite Wellness Committee at Central Piedmont Community College (CPCC) in Charlotte. She also teaches sport management students at Charlotte-area schools Johnson C. Smith University and Queens University of Charlotte. Long-time athletic scout Daniel Acosta, founder and chief executive officer of College Scout Bureau, said his education from the United States Sports Academy propelled his career as he progressed through the ranks of athletic scouting.  Acosta holds two degrees in sports coaching from the Academy: his Bachelor of Sports Science in 2008 and Master of Sports Science in 2010. He is a lifelong baseball player, coach, and scout. He started working on his own scouting company, which would later become College Scout Bureau, in the 1990s. Today, the company connects high school student athletes in baseball, basketball, soccer, football, softball, swimming, and volleyball with college athletic programs that fit their needs and skills. Academy alumnus Khalid Galant, chief executive officer of the South African Institute for Drug-Free Sport (SAIDS), said the Academy’s unique global focus was a major factor in why he chose to earn his master’s degree from the institution. Galant, who lives near Cape Town, South Africa, earned his Master of Sports Science degree in sports medicine from the Academy in 1994. He has served as the CEO of SAIDS since 2008. Academy alumnus and Madison Plains (Ohio) High School boys basketball coach Joe Stewart was recognized by the Ohio High School Basketball Coaches Association (OHSBCA) for collecting his 300th career victory. Stewart is known in Ohio as one of the state’s foremost boys basketball program rebuilders, having taken five separate programs from “worst to first” in their respective conferences. He was inducted into the OHSBCA District 14 Hall of Fame in 2014. Named the head coach at Madison Plains High School in London, Ohio, two years ago, he led the Golden Eagles to a 13-9 record this season, the school’s first winning season in any boys sport in seven years. Academy alumna Jennifer Saylor, a successful volleyball coach with experience at both the high school and collegiate levels, was named head coach of the women’s volleyball program at Rockford University in Rockford, Ill. Saylor previously spent five years as head volleyball coach at both Morton High School in Morton, Ill., and the Capital Volleyball Academy in Madison, Wisc. She also served as head volleyball coach for four years at Lake Forest College in Illinois as well as six years at Illinois College. She has also coached softball at the collegiate level. Aaron Muhic, who has more than 21 years of head basketball coaching experience in the United States, has taken on a new professional adventure — coaching in Canada. The Academy alumnus is currently rebuilding the men’s basketball program at Trinity Western University (TWU). Academy alumnus Torre Becton is using his Academy education to climb to high levels in the college football coaching world. Becton – who earned his Master of Sports Science degree in sports studies in 2014 – was hired as the head strength and conditioning coach for the University of California Berkeley football team. Inventor, innovator and business developer Dr. Mark Janas, a United States Sports Academy alumnus, developed and launched a virtual racing platform designed to revolutionize the world of endurance racing and charitable fundraising, the latest of many products he has created to integrate sport and technology. Janas, who earned his Doctor of Education degree in Sports Management with a sports medicine emphasis in 2011, was the Academy’s 2012 Alumnus of the Year. His latest invention, RevoRace.com, is a platform that can be used as a fundraising tool for schools, charities, sports teams and fundraising events. Academy alumna Judy Fox is using her master’s degree from the Academy to improve the lives of people in underprivileged and underserved communities around the globe, a lifetime goal inspired by a class project from her studies at the Academy. Fox, a 1992 Academy graduate with a Master of Sports Science degree in sports coaching, is the founder and president of Ignite International, a non-profit Christian organization which uses the universal language of sport to enrich, encourage and empower the lives of people around the world. Academy alumnus Brion Packett was named as the first Assistant Principal and Athletic Director at the new Philip Simmons High School in Wando, S.C. Packett has served nine years at Stratford High School in Goose Creek, S.C., at various times as a teacher, soccer coach and resource specialist. Philip Simmons High School, which is currently under construction, will begin its first season of athletic competition in 2017. He said he was intrigued by the opportunity to be part of the opening of a new school. Dr. Jamie Kootz said her dream of becoming a teacher of health and fitness at the college level is being fulfilled thanks to her education at the United States Sports Academy. In fact Kootz, who earned her Master of Sports Science degree in sports health and fitness in 2010 and her Doctor of Education degree in sports management in 2016, was hired to teach at two universities in Kansas: Kansas Wesleyan University in Salina and MidAmerica Nazarene University in Olathe. Kootz, who resides in Salina, teaches sports management, health and fitness courses. Her Academy doctorate has a sports leadership specialization with an emphasis on sports health and fitness. Blinn College athletic director and men’s basketball coach Scott Schumacher said his degree from the United States Sports Academy has been crucial to his long term success in the world of collegiate athletics. Schumacher – who earned his Master of Sports Science degree in sports management from the Academy in 1990 – said he still applies the lessons he learned from his Academy education to his career today, 26 years later. Based in Brenham, Texas, Blinn is a two-year institution with four campuses and more than 19,000 students.